"But there is also a fourth scenario, in which China’s leaders propel the country forward, establishing the rule of law and regulatory structures that better reflect the country’s diverse interests. Beijing would also have to expand its sources of legitimacy beyond growth, materialism, and global status, by building institutions anchored in genuine popular support. This would not necessarily mean transitioning to a full democracy, but it would mean adopting its features: local political participation, official transparency, more independent judicial and anti-corruption bodies, an engaged civil society, institutional checks on executive power, and legislative and civil institutions to channel the country’s diverse interests." I am certain China will evolve as described above in Foreign Affairs magazine, however China will not be a wall flower and let the western world push it around. The rest of this essay gives you my rational for reaching this conclusion. China has a lot of pride and history. China has a long history and long memories. The Chinese are a patient people including their leaders. They remember well the "century of humiliation" dating from the mid-19th century and ending after World War II in the mid 1940's. Much of this humiliation came at the hands of the western powers. They will not forget. The question is can they forgive and become a true trading partner. The treaties forced upon the Chinese demanded that Britain and other sovereign nations be looked upon by China as equals , thus shattering the centuries old thought that China was the Middle Kingdom and the rest of the world was lower in culture and tradition. 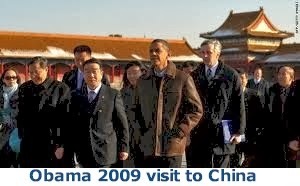 This was very humiliating and distasteful to the Chinese people. Other events that were part of the century of humiliation included unequal treaties where Britan by force imposed one-sided agreements on China, the Taiping Rebellion, which was a civil war from 1850 to 1964 where over 20 million Chinese died, the sacking by the British of the sacred old Summer Palace, the Sino-French War, the First Sino-Japanese War, the Twenty-One Demands by Japan in the early 20th century, and the Second Sino-Japanese War from 1937 to 1945. In this period, China lost all the wars it fought and often forced to give major concessions to the great powers in later treaties. Mao Zedong declared the end of the "century of humiliation" in the aftermath of World War II, with the establishment of the People's Republic of China in 1949. It is worthwhile to note that well conducting negotiations with the United States in the 1970's one of the major stumbling blocks was Taiwan, an island that was part of China before the Korean War and China still claims it as its territory. This issue was overcome by Mao saying that Taiwan was probably best left under the care of the Americans for now, but sometime in the future, perhaps 50 or 100 years from then, China will demand its return. The United States will need to adjust to living in a world of equals.